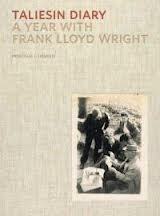 One of the pleasures of being a Frank Lloyd Wright scholar is the periodic appearance of something of real insight amidst the annual deluge of picture books and hagiographica. Ron McCrea's Building Taliesin: Frank Lloyd Wright's Home of Love and Loss (Wisconsin Historical Society Press, 2012) and Priscilla J. Henken's Taliesin Diary: A Year with Frank Lloyd Wright (W.W. Norton & Company, 2012) are filled with visual and written revelations. McCrea concerns himself with Wright's relationship with Mamah Borthwick Cheney from their decision to abandon their respective families and go off to Europe late in 1909 to her tragic death in 1914. That story has been told many times, but what distinguishes McCrea's book are revelations about the construction of the first Taliesin in 1911, illustrated in numerous previously unknown photographs from three collections -- the Utah State Historical Society, the University of Utah Library, and the Wisconsin Historical Society. Most of the photographs in Utah collections were taken by Taylor Woolley, the draftsman who accompanied Wright to Fiesole, Italy, in 1910 to work with Lloyd Wright and his father on the production of the Wasmuth Portfolio (Ausgefuhrte Bauten und Entwurfe von Frank Lloyd Wright). Woolley eventually established his own office in Salt Lake City, became the State Architect of Utah, and passed away in 1965 leaving this cache of photographs to posterity. 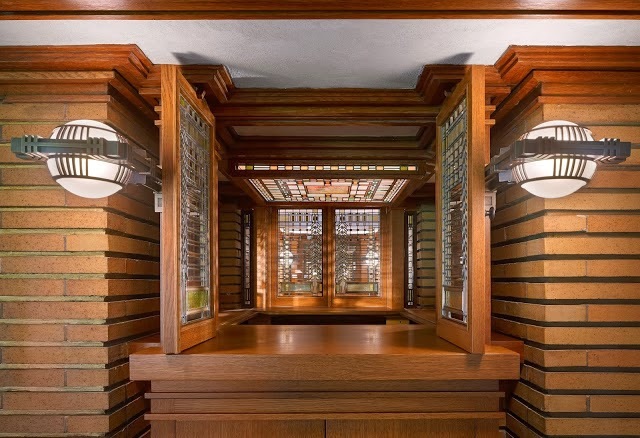 McCrea draws heavily upon Woolley's photographs as well as some by Wright himself, and those of the distinguished Chicago architectural photographer, Clarence Fuermann, who photographed the Martin House in 1907. Since the first Taliesin was destroyed by fire in 1914, McCrea's book provides a superabundance of invaluable images including some taken right after the fire. 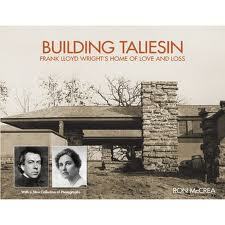 Priscilla J. Henken offers quite a different, insider view of life at the third Taliesin (begun after a fire in 1925). Mrs. Henken, a New York City school teacher, accompanied her husband, David, to Wisconsin when he joined Wright's Taliesin Fellowship in 1942. The diary she maintained over the duration of their stay chronicles the rigorous day-to-day life of the Fellowship during World War II. Very much an outsider at the start, she learned to cook for everyone when her turn came (one meal for the Wrights, another for everyone else), spent entire days weaving, canning pumpkins and making apple sauce, mastering the recorder, and was eventually asked to assist with the drafting of Wright buildings, including the Arch Oboler House. A person of considerable sophistication, erudition and writing skills, she tells of gaining the respect of Wright, and of the intense interpersonal relationships between members the Fellowship. She is able to convey a sense of what it was like to be there. Eventually, in the 1950s, David Henken engaged Wright in the creation of "Usonia" in Pleasantville, New York, a cooperative community of thirty families who agreed to build on circular plots of land populated by houses designed by Wright, Henken, Aaron Resnick, Ulrich Franzen, and others. Film buffs will be interested in the list of 46 films that Wright had shown at Taliesin during the year that Priscilla Henken was there. (This was a practice that Wright continued from the founding of the Fellowship in the early 1930s until his death in 1959) Directors such as Orson Welles, Preston Sturgis, and Alfred Hitchcock, share the stage with Sergei Eisenstein and numerous other Russian directors, at the request, no doubt, of Mrs. Wright (née Olga Ivanovna Lazovich) who was born in Montenegro and educated in Russia. I am one of the children of Priscilla J. Henken and David T. Henken. I really appreciate the very good review of our mother's diary. I just wanted to point out an error. The name of our mother and the author of the diary is Priscilla J. Henken (1918-1969). Th name listed at the beginning of the review is incorrect. There was a Patricia V. Henken who married our father after our mother's death and had nothing to do with the diary.